UK Hedge Cutting Contractors: When you have hedges in your garden in the UK it is crucial that you keep them maintained and trimmed. If you have the right tools and sufficient time to do it, it is quite possible to trim your own hedges and keep them looking in great shape. However, many householders in the UK simply don't have the time to spare for this type of maintenance or are not fit enough or capable of doing such tasks. It is in these instances when it might be a good idea to contact the professionals. If you are thinking about calling in the UK hedge cutting specialists, be sure to get hold of somebody who knows what they are up to. Growing a hedge costs a considerable amount of money and you don't want yours ruined by being cut too agressively or at the wrong time. An experienced hedge cutting contractor will give you advice concerning the ideal time to work on your prized hedge and the proper way to do it without damaging it. Its possible you may want your hedges trimmed into fancy designs like curves or archways in which case it is even more vital that you bring in a knowledgeable contractor to complete the task. Virtually all gardeners in the UK will be willing to trim your hedge, and it should be said that in most instances this is not an issue if you have a gardener who you can depend on and is proficient at this sort of task. When done the right way, trimming a hedge helps keep it healthy and strong, it both encourages new growth and improves the root system making the hedge denser and in a better position to withstand pest attacks and disease. A strong and healthy hedge looks much more attractive and is better able to do the job it's supposed to do in your garden ie form an effective dividing line between your garden and your neighbours, provide much needed shelter from sormy weather and give you a degree of privacy. Hedges that are not routinely maintained and cut are likely to become top heavy and straggly with ugly gaps and a general lack of foliage and growth, especially at the base of the hedge. 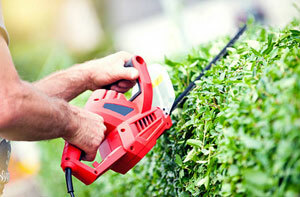 Regular trimming will keep your hedge neat and allow new shoots to fill any undesirable gaps. A hedge that's permitted to grow unattended will ultimately spread itself outwards, using up more of your garden space and producing a significant clump of leafless branches inside which are going to look horrid when you do ultimately cut it back. It may then take many years to regain its desired shape (if ever). 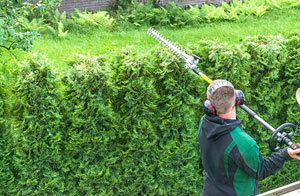 You may be thinking about the costs involved with hedge trimming in the UK, and the truth of the matter is that hedge cutting prices in the UK hinge on several things including the height of the hedges, the size of the property, the condition of the hedges, the number of hedges that require trimming and whether you need the hedge waste to be removed. 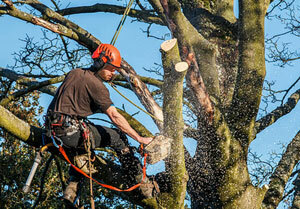 Hedge Removal UK: If you want to get a hedge removed altogether it is still best to speak to the specialists. Aside from the fact that you will need all the hedge waste disposed of afterwards, you want your hedge to be taken out correctly and entirely, which includes getting rid of as much of the root system as possible to prevent the hedge simply growing back in the future. Tasks like this also need to be performed in a safe manner, therefore bringing in a genuine UK hedge removal company should ensure that this is what occurs. It is extremely important to make sure that the hedge in question actually belongs to you. You could be in deep water if you pull out a neighbour's hedge accidentally. UK hedge cutting contractors will likely help with domestic hedge cutting in the UK, estimates for hedge cutting in the UK, weekly hedge maintenance in the UK, hedge reductions in the UK, hedge waste removal in the UK, overgrown hedge trimming in the UK, hedge tidying in the UK, fancy hedge trimming in the UK, hedge re-planting in the UK, tree and hedge trimming in the UK, maze hedge cutting and pruning in the UK, garden waste removal in the UK and other hedge related tasks in the UK. More UK hedge cutting specialists: Rayleigh, Dinnington, Poulton, Fleetwood, Horley, Seaford, Beverley, Hereford, Halewood, Redditch, Pontefract, Faversham, Hanley, St Neots, Clevedon, Swanley, Blackburn, Barnet, Cardiff, Bilston, Bournemouth, Chelmsford, Falmouth, Lowestoft, Burslem, Sandhurst, Burntwood, Bridlington, Nuneaton, Wombwell, Carlisle, Solihull, Frome, Guildford, Swinton, Stockton-on-Tees, Longton, Abbots Langley, Ashton in Makerfield, Shipley, Maghull, Golborne, Rawtenstall, Wrexham, Bognor Regis, Grimsby, Sale, Witham, Gateshead, Hartlepool, Hertford, Bristol, Maidstone, Bushey, Godalming, Bolton, Kings Lynn, Torquay, Southend-on-Sea, Formby, Kettering, Neston, Kendal, Yateley, Marlow, Leek, Colchester, Basingstoke, Gatley, Exeter, Newton le Willows, Cramlington, Rugby, Pudsey, Stalybridge, Stretford, Maldon, Winkfield, Darwen, Potters Bar, Weston-Super-Mare, London, Bradford, Normanton, Stroud, Ascot, Hinckley, Congleton, Southampton, Ormskirk, Beeston, Hull, Stoke-on-Trent, Rickmansworth, Thatcham, Derby, Hedge End, Farnworth, Holmfirth, Brownhills, Hythe, Middlesbrough, Edinburgh, Cheltenham, Reigate, Berkhamsted, Broadstairs, Leominster, Walkden, Huddersfield, Ossett, Radcliffe, Wednesfield, Cambridge, Basildon, Waterlooville, Harwich, Yeadon, Preston, High Wycombe, Dunstable, Royton, Bingley, Wednesbury, Walton-on-Thames, Aberdeen, Loughborough, Northampton, Hailsham, Droylsden, Lewes, Woking, Chapeltown, Rainham, Crewe, New Milton, Hindley, Ilkeston, Kidsgrove, Bentley, Ware, Sandbach, Burnham on Sea, Salisbury, Crowborough, Oadby, Sunderland, Penzance, Newport, Market Harborough, Finchampstead, Retford, Tilehurst, Whitefield, Leicester, Ryde, Reading, Morley, Molesey, Oldbury, Sheffield, Heywood, Barrow-in-Furness, Sunninghill, Luton, Gloucester, Heysham, Newport Pagnell, Westhoughton, Chalfont St Peter, Dundee, Hemel Hempstead, Cowes, Watford, Doncaster, Penwortham, Birkenhead, Southsea, Oxford, Maidenhead, Bedford, Colne, Perth, Wallsend.